Acromioclavicular joint (AC joint) dislocation or a shoulder separation is one of the most common injuries of the upper arm. It commonly occurs in athletic young patients and results from a fall directly onto the point of the shoulder. It involves separation of the AC joint and injury to the ligaments that support the joint. 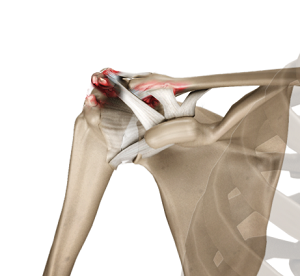 The AC joint forms where the clavicle (collarbone) meets the shoulder blade (acromion).